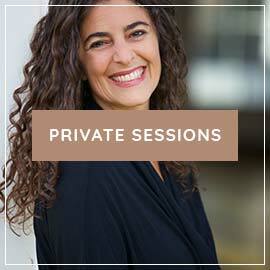 In every session with clients, I drop down into the core of myself, breathing and opening into the vessel of being so that I can listen with the ears we do not see, the ones that hear underneath the top layers stories into the invisible layers where the gem that needs to be revealed rises gently to the surface, glimmering with joy at being found. A few weeks ago, I had a coaching session with a long-term client who meets with me monthly, and the gem that arose was so beautiful that I wanted to share it here (*with grateful permission from my client). We typically spend the first twenty minutes “catching up” and filling in: talking about the latest decision that needs to be made, challenges or celebrations with her kids, work matters, and the like. This layer of conversation is important, and for many clients it’s how they wind down and soften themselves into the more vulnerable realms of being. She relayed this conversation and reflected that her entire adult life, save for a few months when she followed a man to a foreign country, she has lived a stone’s throw away from not only her hometown but also her father’s house. In one of her earlier apartments she could even see her dad’s house. And now she was moving several hours away, making a bold choice to leave the big city lifestyle that she has grown up believing was central to having a valuable life. And she started to weep. We had found our gemstone. The phrase leaving my father’s house floated up to consciousness. It’s a Jungian phrase that analyst Marion Woodman often used to describe the individuation process of seeing that your parents’ value system doesn’t align with yours and taking steps to forge out on your own trajectory. For this client, she realized that in staying near her father geographically she was also remaining aligned with his value system, which was her attempt at seeking his approval. As the firstborn daughter of three, her birth order naturally placed her in the role of being her “father’s daughter”, another psychological term to describe a daughter who follows in her father’s footsteps and adopts the archetype of a powerful, masculine-identified woman. By masculine I don’t mean “male”; I mean orienting toward the masculine qualities of achievement, action, and doing. These are essential qualities that we all carry, but for father’s daughters they’re often amplified to the point of annihilating the feminine qualities of being, connection, and emotional relatedness. When I said, “You’re leaving your father’s house,” the agony she endured while coming to this decision suddenly made sense. Any time we change a lifelong contract that we unconsciously made around parents early in life, a change in that contract often causes agony. In saying, “I choose differently,” she was also saying, “I no longer allow my need for my father’s approval to guide my decision.” This is a massive internal restructuring, one that requires courage to arrive it and time to process. It’s not that this insight will change the external course of her life: she was going to move regardless of what transpired in this session or any of her inner work. But the way she’ll navigate the move will likely change dramatically because of this insight. It’s the same principle that informs all of my work around anxiety, whether it’s around your relationship, your fertility, your work, your health: when we can name what’s happening by placing it into context, anxiety is eased. 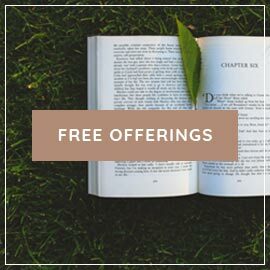 For those of you struggling with relationship anxiety, for example, a great deal of the tension is relieved once you understand that fear is a normal and necessary part of any longterm relationship, and that subsets of fear like irritation, lack of attraction, and doubt aren’t evidence that you have to leave. This lightbulb moment alone can ease your anxiety dramatically. That doesn’t mean the work is over. It just means you can now get to work on what really needs attention without the layer of the shame-based story “what’s wrong with me” in the way. This post is what I needed today. I am wrapped up in my shame story and, clearly, ruminating about it isn’t expediting my healing. When I (try to) grieve my past, the process of grieving itself makes me sad because as desperately as I want to let this part of me go, it feels like I’m losing a part of myself in the process (even though I know it’s time to let it go. It needs to go). Because of that, I try to “fill the empty hole” with something else, but I don’t know what to fill it with. Any advice? Sam: It’s very difficult to let go of what’s familiar, even if what’s familiar isn’t working anymore. You are, indeed, losing a part of yourself, and that’s what needs to be attended to and grieved first, giving this part of you airtime so that you can say goodbye to the old stories and old pain. It’s amazing that as much as we long for well-being, we have an equal, if not greater, longing for familiarity. The ego hates change! This small-minded, scared part of us needs a lot of reassurance so that we can keep moving forward on our healing path. Sheryl… this really resonated with me today. I have been agonizing over a career move that initially presented itself to me back in early November. The whole thing finally came to a head this week when I turned down their verbal offer. My heart shut down somewhere near the end of the 6 hour interview back in December, but I couldn’t understand why in that moment. By all accounts this appeared to be the PERFECT job with a great/forward thinking company. Every step of the way, however, I just had more and more anxiety about the whole thing. Of course I kept beating myself up telling myself that this should be a clear yes and I was just feeling anxiety about the change (I’ve been at my current job for 9 years). I knew I sensed something, however, that wasn’t the right fit for me- I just couldn’t put my finger on it. You nailed it with the words you used in this post. This job was ALL about achievement, action, and doing and there was no semblance on the team of the qualities that I know are inherent to me (being, connection, and emotional relatedness). If there had only been a few moments here and there in that six hour interview of the team trying to connect to me on a personal level (perhaps at the lunch we had together where they just continued to drill me with interview questions). While they are doing amazing work in the world, I sensed that they were trying to see if they could “crack me” as a means of telling whether I could keep of with their pace. I knew I would burn out QUICKLY if I took this role and so I ended up turning it down on Wednesday this week. I’m still mourning the loss of a new opportunity and what appeared, at first blush, to be my BIG BREAK! I’m trying to remind myself that other opportunities will present themselves and that I should be grateful that the universe placed such a challenging experience in my path as a way of galvanizing my ability to stay true to the things that I value — giving my life over to a job is not one of them. What a beautiful and powerful story of self-trust, and I’m so pleased to hear that you were able to tune into and articulate the messages inside the anxiety and stay true to your values. I have no doubt that another opportunity will present itself – one that won’t lead to burnout! This post resonates with where I am at now. I was definitely a ‘Fathers Daughter’ growing up- very achievement oriented, tended date more feminine men. After entering therapy in college, I was able to give voice to the ways I felt different from my strong father and began a process of individuation that has opened up my life in amazing ways. I married my husband, who is a more ‘masculine’ type but steady and loving and warm, and changed career paths from business to psychotherapy, which I have loved. Having my first child, my daughter who is 16 months, has confronted me with challenges of expansion and contraction of myself (yes I took your birthing a mother course!). Motherhood causes me to stretch myself every day to stay in touch with my hard-earned softer side. However, recently I think I have begun to retreat a little into my old ways. I find myself preoccupied with my career, afraid of becoming a stereotypical stay-at-home housewife (something I actually yearned for before having a baby). I am struggling with how to feel like I matter as a person without the achievement I used to rely on so much. Motherhood is about small intimate moments, not achievement at all! I want to be a nurturing mother so badly, yet am afraid that that is all I will be. I am working part time and it is very hard to find balance between these two parts of myself. I don’t really know how to fill my own well at this stage of my life. It’s so very challenging to fill one’s well and stay connected to Self while in the early stages of mothering. In fact, it’s a conversation I have several times a week with all of my long-term clients who now have young children. What I can impart is that eventually, in its own time, you will retrieve parts of your self that are perhaps underground right now, and they will emerge with more clarity than ever before. Usually these chunks of self-retrieval correspond with your child’s development into self; with each of her leaps into independence (which happen slowly, over many years, despite this culture’s obsessive push toward independence), you will regain a piece of your own independence. It’s a long process in the day-to-day living but it happens in the blink of an eye over the span of a life. It sounds like you’re grieving beautifully and mindfully, Elizabeth. There is no formula for grieving and it doesn’t happen in a neat and tidy way. I love that you’re making room for the resistance as that’s part of the process as well. I feel like every week you’re blog post relates to something I’m thinking. I feel like I’m the midst of shedding the old way of connecting, which was via my head and a heart filled w wounds, to connecting out of my real essence and connecting w the essence in my partner and with others. The grieving process makes sense as it feels that I’m having to say goodbye to what feels like me for so long. But it’s the me that lives out of protection not actual heart connection. Like in the ecourse where you have us write goodbye letters to our fantasy partners, I’ve been writing goodbye letters to the old self. then also being thankful for the new connection that’s being birthed in me. It feels foreign but I remind myself that new things always feel that way and it takes time to integrate a whole new way of being. Even today I felt myself break out of an old people pleasing habit and I panicked initially thinking, “what will this person think of me since I didn’t respond the way I usually do?” I journaled it out and thought “I’ll be okay and I don’t care what they think of me.” It felt awkward at first and is still forming its way in me but then I took the freedom to be me that was rightfully mine. It was nice. Or I was silly today with my partners teenage daughter and I could feel this little girl inside of me panic saying “I don’t know how to do this. This feels awkward!” I reminded myself again “ur safe. This is new. It’s okay you don’t know what you’re doing. That takes time and you will learn as you go. You will be okay.” Afterwards I sat in thankfulness for the opportunity to learn how to have fun in a new way and I loved seeing her face light up with joy as she laughed the whole time. Reiterating what you said in your post, it takes time to step into a new house but oh how there’s beauty in the journey and in what’s to come. On another note can you let me know how to get on the ecourse forum? I’ve tried and was able to access the open your heart forum but not break free. Beautiful and on-point as always, Sara. As you can see from my response to the first reader above, letting go of our familiar yet outdated ways is a scary yet necessary part of growth. I love the voice of your wise and loving parent who keeps showing up for yourself each time the fear rolls in. As far as the e-course forum, please contact my assistant and she’ll help you gain access: kathryn at conscious-transitions dot com. As always your blog post arrived just at the right time 🙂 i have also been recently in a situation, where I really had to trust myself and listen to my intuition. We moved a few months ago in a new area, and my son had to start in a new daycare center. We didn’t get to choose the daycare as it was the only one left with a spot for my son at this point. Although I tried hard to convince myself the the daycare was fine, something felt really wrong about it in my gut from day one. The confusing part was that my son has been very happy there (he seems to be a resilient non-HSP little guy,who finds transitions and newness fun 😉 At first I thought I was projecting my own discomfort about the move on the daycare. But I still felt physically uncomfortable every time I went there. As I processed my own grief about the move with my therapist, new information about the daycare emerged: I learnt that it has been dysfunctional from the start, with issues of harrassment between the staff, and some cases of yelling at kids. Even though things have gotten better, and the ‘bad’ staff has supposedly left, I suddenly understood why I had been feeling this discomfort all along. My body just feels the bad energy (past or present) so strongly!! Even before knowing this, I had booked visits to other daycares. I saw one I absolutely loved and we got a spot there within 5 days (although the spot is only available in May, so we have 3 months left in the current place). This has been a really tough decision as my son is very happy there and some of the staff is nice. But even my husband, who is not nearly as critical as me agreed that something is off and it didn’t take much to convince him we should say yes to the other place. A part of me is relieved, but another one is of course worried that our son won’t like the new place! Now in relation to the blog post, after we took this decision, I have dreamt repeatedly that my dad (who died more than 10 years ago) just died. I even had a dream where i saw him die. This is where this blog brings the missing piece: my dad was a a highly sensitive person but he was very wounded and used alcohol to soothe his sensitivity/anxiety. He stayed in a job all his life where he wasn’t treated properly but decided to close his eyes and just be nice. It killed him in the end as they got rid of him in a very inhuman way (which led to depression and self destruction). What I take from these dreams is that by listening to my intuition (nothing is terribly wrong with the place at first sight), I listened to myself and honored my inner knowing. I know the staff got a little bit offended by our decision, and my people pleaser is so uncomfortable about it. But I feel proud that I was able to trust myself and to trust that things will turn out well for my son even if he starts in a new place, yet again! This was a powerful post for me. I think hearing about your clients’ sessions hits things home extra well. Then again, so does hearing your personal stories! I have read part of Marion Woodward’s book and until now didn’t fully understand what the phrase “leaving your father’s house” means. Wow! I can look back and see how in many ways I have left my father’s house. I’m curious — do deeply Self led people ever wind up sharing values with their parents such that they don’t have a need to “move out”? Or for these people, does moving out happen through a different means (other than changing values)? This wouldn’t be the case for me, as my values are very different from both my parents, but I’m wondering about other people close to me. Thank you for this beautiful post, and thanks to your client too! I’m so glad the post was helpful, Lucy! My understanding is that everyone needs to move out of their parent’s house at some point as it’s part of the individuation process, even if values are shared. I love this post. I provide counseling to college students and I will save this post to share with them, as it so powerfully addresses individuation, a common theme in my work. I’m so glad it was helpful. Yes, college is a profound time for individuation. Perfect timing as always. I’m wedding planning and about to leave my parents’ home and family business for the first time. My fiance and I are facing a very big obstacle right now as my parents are struggling to let me go. I really needed this. Thank you for this light bulb story and the wisdom that comes with it. 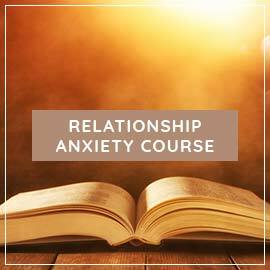 How can this be related to relationship anxiety?I find this post really helpful and am grateful to Sheryl as always…But from one of the comments say about listening to your gut and it proved right…I got triggered by the thought what if this applies to my relationship which is absolutely fine and great.. Since I know you’re familiar with my work, how might you respond to your question from a wise and steady part of yourself? Beautiful post, Sheryl. This hits every nail on the head with what I’m experiencing. I feel like this is intertwined with my relationship anxiety which makes it difficult to separate the two if that makes sense? As I reflect back on my relationship with my journal entries and recordings of myself talking, I see and hear projections and it’s relieving to know that. However, now as we’ve been in a new city for over a year and being around new people with a new environment I feel myself changing. Changing for the better but it makes me really sad and almost like I’m betraying my family and my fiance for lifestyles that were a part of me but now are changing. It leaves me with a fear that if I take this route for myself we’ll grow apart with different views and ways of living and I’ll discover that I want to leave. In the anxiety course you mention what spikes anxiety is people fearing that they’ll “have” to leave but what spikes mine more is the fear of discovering I “want” to. Is that normal? It leaves me in a standstill of not taking any direction of growth because I’m scared of it but then going back to certain ways I don’t want to necessarily have either. I was curious if this is part of projection as well? Because now it doesn’t seem like there’s anything “wrong” with my partner or that there’s “someone else” out there. It’s just these thoughts/feelings of “You’re just hanging on because you’re scared of the new lifestyle ahead but also excited and you just need to let go because you’re not going to grow if you stay with him in the ways that you want. You’ll always go back to those old ways for him but not what you truly want. Even though he’s supportive of you, the only reason you’re staying is because you feel guilty for leaving and wanting someone/something else.” I’m trying to mentor myself in saying 80% of your anxiety are projections and it’s only normal that fear would say you’re the exception now if the projection isn’t about him but more of just a timing and “you” issue.It’s like there’s this excitement/fantasy world out there that my mind obsesses on but I try to step back and realize there’s nothing actually there. 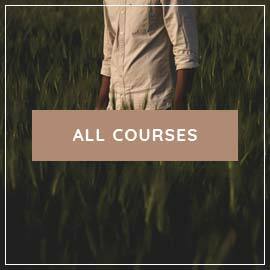 I’m still in the process of taking the relationship anxiety course but any advice along the way would be greatly appreciated! This is a very common projection: that there’s a more fantastic and exciting life out there, and your desire to lead this amazing life will make you want to leave your partner. The excitement we seek externally is a trap, for true excitement occurs when we cultivate our inner joy, creativity, spirituality and well-being. Keep going through the course, Jessica, and doing the work and your fear will eventually loosen its grip so that you can see through clear eyes more of the time. Thank you so very much for all your wisdom and insight over the years. I have never responded to on of your posts and I thought it high time as I always look forward to receiving your e mails. This post resonated with me, as have many others, since I too and trying to find my way through the wilderness and back into myself. My father has held a tight grip on me since childhood, and even though we do not live in the same state, I modeled his way of approaching life from a very young age. Long story as short as possible, but I attended the same college as him and my older brother, got my first job because of him, moved into a home that he liked, got married and had children, and worked to make money not serve my true interests. This is what he did and it worked for him, but I found myself rebelling in my early thirties. I ended up having a panic attack at 34, lost my Mom at 35, wrestled with my sexuality from 35-38, then came out as gay and got a divorce. I also ended up abusing alcohol, ended up in rehab, and still navigate some intense anxiety. I have experienced so much despair and I cannot seem to let it go. But it is time, and I am really working on my grief and letting life come on life’s terms. Its very difficult as I have been wrapped up in my head for so very long. Your messages throughout the years have provided me with much comfort, so thank you Sheryl – you are an angel! Ryan: I’m very touched by your comment, and thank you for reaching out and sharing a bit of your story. It sounds like you are, indeed, in the wilderness as you seek to excavate and retrieve your true self from beneath the weight of your father’s influence, and in fact the entire masculine download of your ancestral line. Are you working with a skilled therapist who can guide you along these pathways of grieving and letting go? It’s not work that is easily done alone, especially at the level that you’re describing. Thank you so much for the message Sheryl! Truly wonderful to hear from you. I have been working with a therapist(s) over the years and do have some great folks in my corner. However, I am looking to take it to the next level and would welcome any suggestions. And starting a daily dialogue/journaling practice. 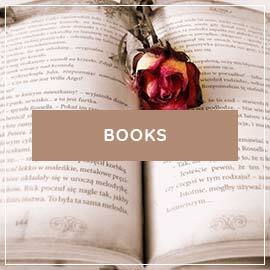 Thank you Sheryl – I will be reading some of those books as there are many that resonate. I do journal, but not daily and I believe you are right that a daily practice would be helpful. As for the course, I actually signed up for that back in 2015, but did not finish since my marriage was on the brink of falling apart. However, perhaps it is time once again and to actually finish the course. Truly appreciate your time and willingness to listen Sheryl – peace to you!